Hi Neta! Love the tutorial! 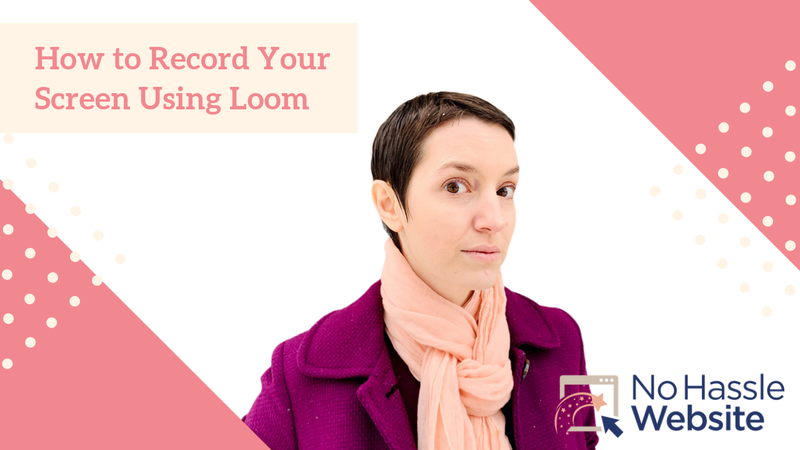 With Loom do you need a microphone or does the computer microphone work well enough ? I’m thinking for recording things like videos for my online course, where people are paying for the video. Hey Suzanne – just test it and see if the quality is good enough! Some built in mics are fine. In any case, you can get very good external mics on amazon for around $30! It felt so personal when you responded back to my email with video. Thanks so much for sharing this. I will be buying a no hassle website very soon. Making personal videos as part of responding to inquiries and answering questions has changed how I provide customer service and it’s really a win-win situation as it is so much more effective for me and for the person I respond to. Looking forward to you joining the No Hassle community Jonathan whenever you are ready.